Pregnant? There’s a mobile app for that! Baby on the way? HCA Midwest Health has four delivering hospitals, four advanced neonatal ICUs (NICUs) and the largest network of obstetricians, family practitioners and midwives to help you navigate your pregnancy, and now we have an app. 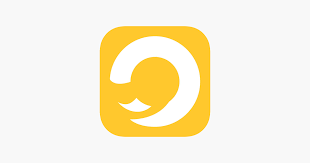 Download our free app, powered by myYoMingo, for important information and fun extras for every stage of pregnancy, birth and beyond. It features an appointment tracker, a kick counter, a feeding log, and more. Or search for "MyYomingo" wherever you download your apps. The information in this app is not intended to take the place of a healthcare provider or any information that your healthcare provider has discussed with you about your own personal health and health of your baby. It is imperative and advised that you find prenatal care, and work with your healthcare provider throughout your pregnancy to keep yourself and your baby happy, healthy and safe. For the purpose of clear and concise presentation of this app, you will hear and read the terms "he" and "she" in reference to the baby. Always call your healthcare provider with any questions you may have about your pregnancy. By creating your account for this app, you have verified that you have read and agree to this disclaimer. Dr. Ryan Riggs, of Menorah Medical Center and Research Medical Center, discusses new advances with egg freezing, which helps women become pregnant and beating that biological clock. Kansas City’s leading healthcare provider walks to improve health of area moms and babies.